Chromebooks have come a long way in the last few years. 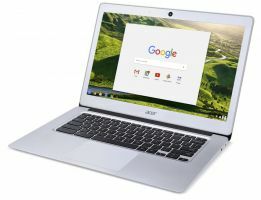 From the CR-48 reference model, to the ever-expanding offerings available today, the Chromebook is an attractive option for a lot of reasons. Generally low in price but capable in performance, Chromebooks definitely have their place. Add in the seamless updates and consistent experience from device to device on ChromeOS and it’s easy to see why Chromebooks are so popular. 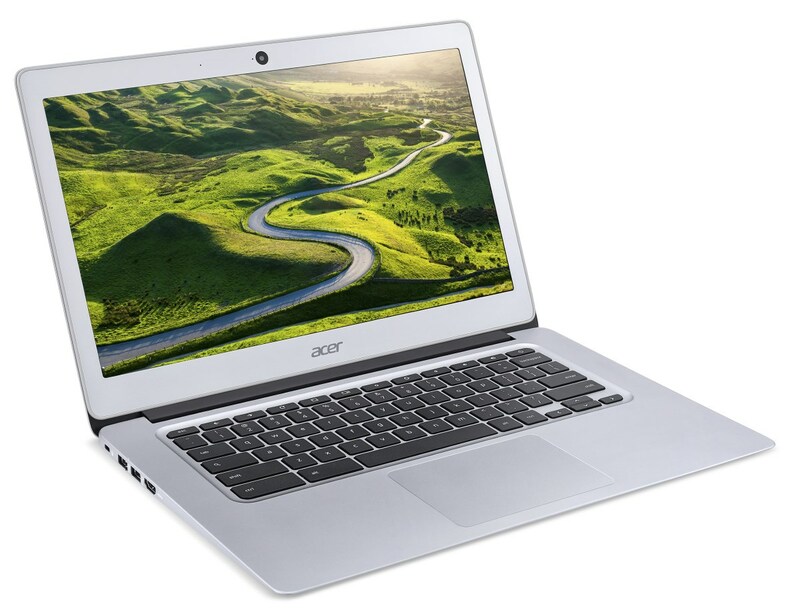 The Acer Chromebook 14 was just announced and it brings some impressive specs and performance to the table. 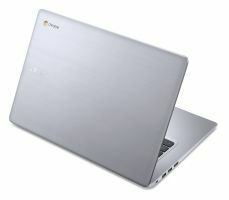 With battery life hitting up to 14 hours based on a certain configuration, this is a Chromebook that should get you through a full day of usage with no problem. 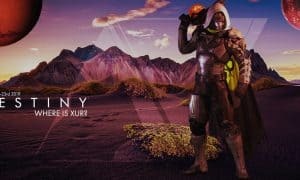 That giant battery will be paired with some pretty impressive hardware, including an Intel Celeron N3060 Dual-Core Processor, a 14″ IPS display in HD or Full HD resolution, 2 or 4 GB of RAM, and up to 32GB of internal storage. For the higher-spec layout — Full HD, 4GB RAM, 32GB internal storage — you’ll only be spending $299 ($399 CAD) when the Acer Chromebook 14 becomes available in April. You can pre-order the device right now on Amazon. You can read the full press-release below. 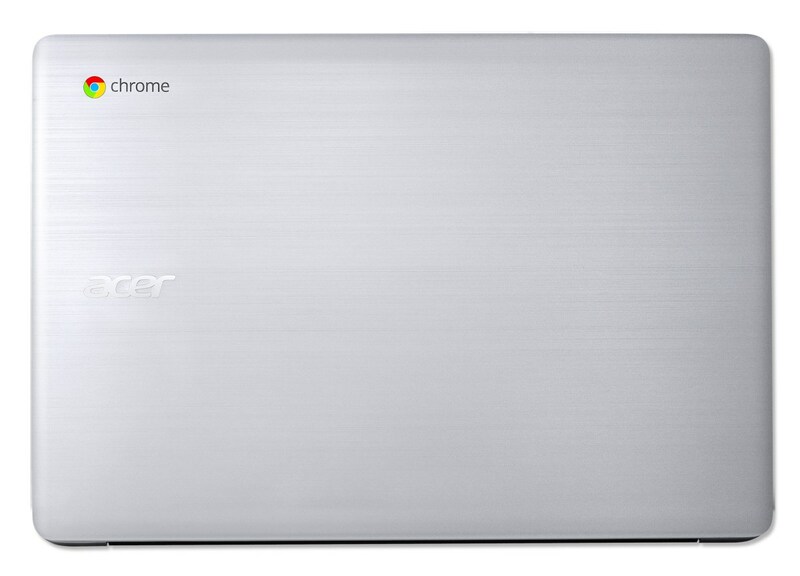 This will definitely be a Chromebook to keep an eye on. San Jose, Calif., Acer today expands its line of award-winning Chromebooks with the Acer Chromebook 14, the industry’s first model that provides long battery life of up to 14 hours. 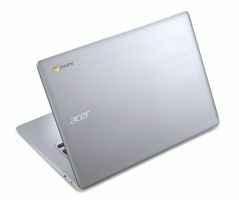 (1) In addition, this is Acer’s first model with a large 14-inch display and an all-aluminum chassis. 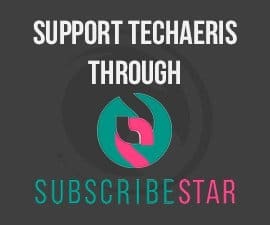 It is priced at just $299.99 USD, making it ideal for students, businesses and anyone who wants a computer with style and great value. 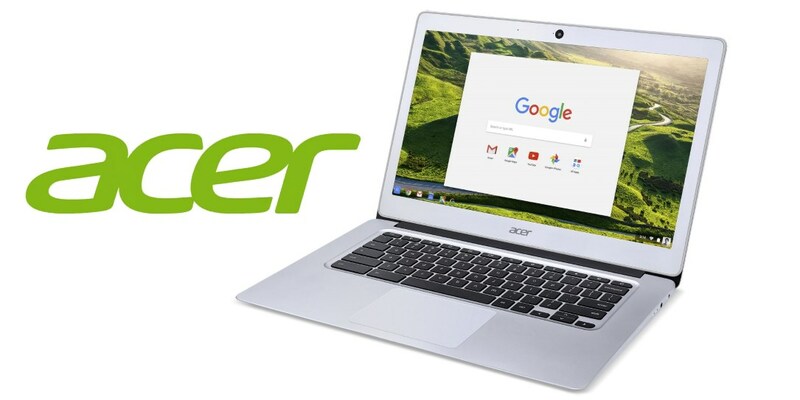 The Acer Chromebook 14 is the company’s first with a large 14-inch display. The display is 20 percent larger than 11-inch models, so customers have extra screen real estate to enjoy additional tabs and websites, enjoy video and collaborate more comfortably. 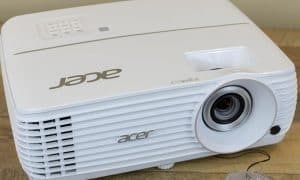 The display features IPS technology and comes in either a full HD (1920 x 1080) or HD (1366×768) resolutions, which both ensure clarity in text and graphics as well as wide viewing angles up to 170 degrees. The Acer Chromebook 14 reduces eye fatigue thanks to the display’s ComfyView low-reflection and anti-glare properties. 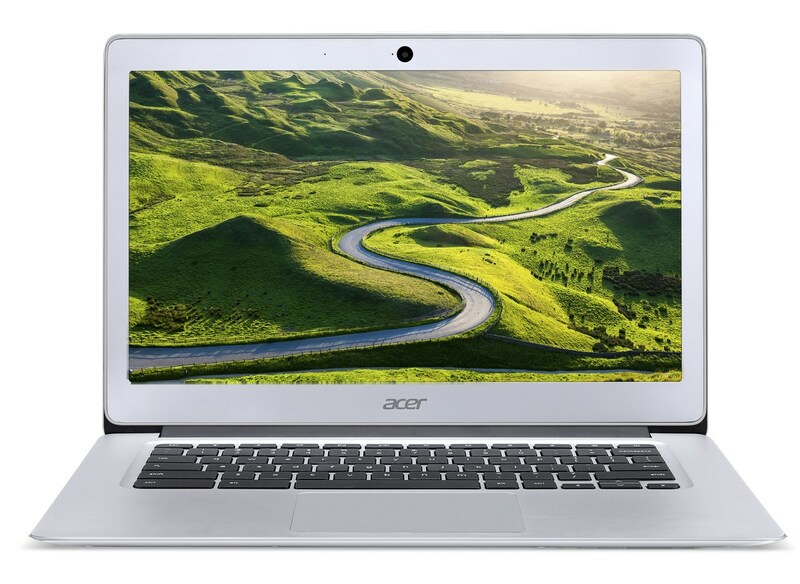 Group video conferences are easy and enjoyable with the Acer Chromebook 14’s 720p webcam with 1280 x 720 resolution as well as HD audio and video recording. The webcam provides High Dynamic Range imaging as well as a wide field of view, so multiple students, colleagues or friends can be seen while video conferencing. The system provides top-notch audio to match the excellent video experience; it has dual stereo speakers and an integrated digital microphone. 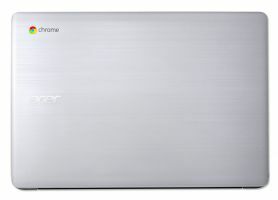 The new Chromebook 14 is Acer’s first Chromebook to have an all-metal chassis; the case is made entirely of aluminum, making it stylish and lightweight. It boasts a touch and feel that is unmatched by any other Chromebook on the market thanks to its classic hairline-brush finish and perfectly rounded corners. 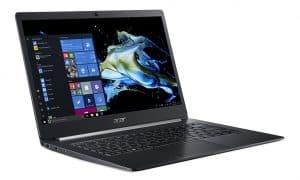 Ultrathin and lightweight, weighing only 3.42 pounds (1.55kg) and measuring just 0.67 inches (17mm), it delivers cool and quiet computing thanks to Acer’s fan-less technology. 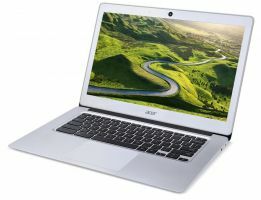 The Chromebook 14 is Acer’s first with two first-generation USB 3.1 ports for enjoying extra-fast speeds from connected peripherals. 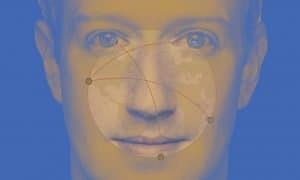 The device can be used to share HD video and audio onto an external display with its HDMI port. 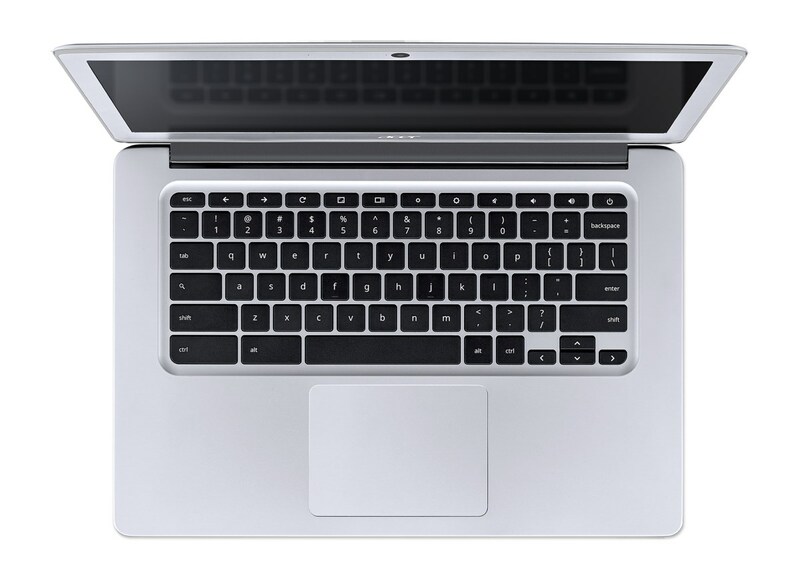 The Chromebook also connects to peripherals via Bluetooth 4.2. 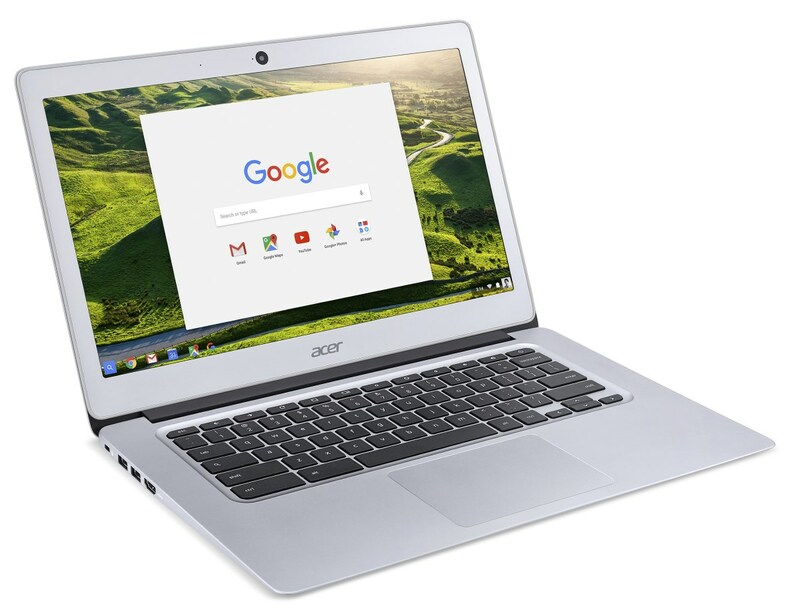 The Acer Chromebook 14 is simple to use and ideal for sharing by multiple users, such as families, schools or at different shifts at a business. 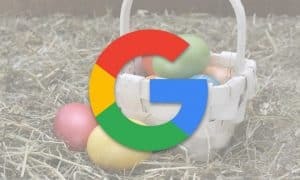 Customers can log into their own account to access Gmail, Docs, website bookmarks and other information. The Acer Chromebook 14 comes with 100GB of free storage on Google Drive(5) to protect files, documents, and photos safely in the cloud. 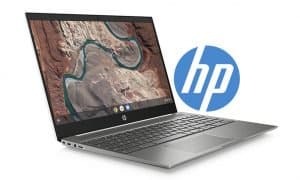 This also ensures that the most current version of the file or document is always available and safe, even if the Chromebook is lost or stolen. Acer Chromebook 14 users can view, edit, create and collaborate on-line and off-line with a growing number of programs, such as Office documents and Gmail. 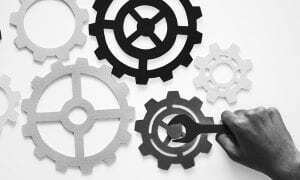 Security is a key benefit of the Chrome operating system, as it’s automatically updated to guard against ever-changing online threats. This is especially useful for families and schools that want to protect children. 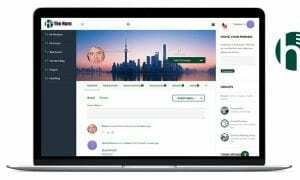 In addition, the Supervised Users feature helps get children online in a safe, controlled way. 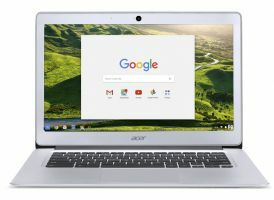 Several models in the Acer Chromebook 14 line (CB3-431) will be available with either 16GB or 32GB eMMC storage and either 2GB or 4GB of RAM. (3) The premiere model will be available in April with a Full HD display, 32GB storage and 4GB RAM starting at $299.99 USD in the United Stated and $399.99 CAD in Canada. 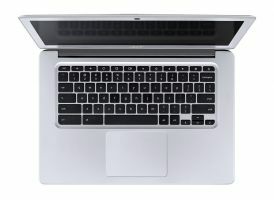 This model is available now for pre-sale at Amazon and will be available at bestbuy.com in April. Canonical Partners With Microsoft For Ubuntu On Windows 10?